Please, read how to update your version to 3.0 (for versions 2x and lower) here. 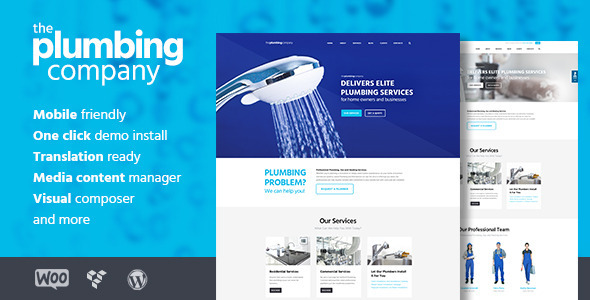 Plumbing – modern & responsive Repair & Construction WordPress theme. 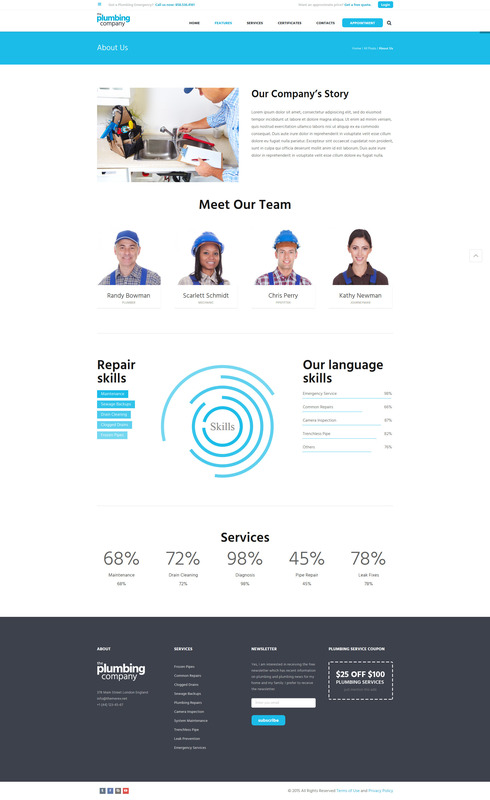 It is designed for plumbing companies & firms and fits perfectly for any home repair and maintenance business website: plumbing services, carpentry, remodelling & renovation agency, construction business etc. 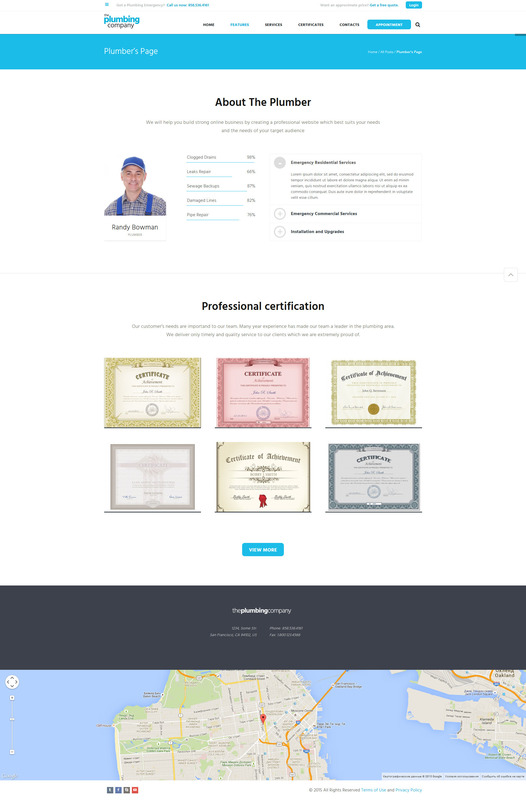 Also you may use it as an individual plumber / handyman portfolio. 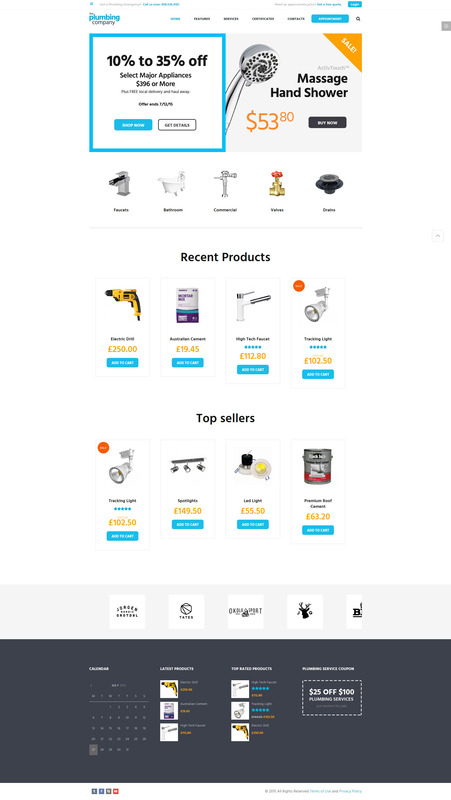 Being WooCommerce ready, the theme can become a nice online tools and equipment store or plumbing supplies shop as well as bathroom, water pipes, baths, showers, kitchen and hardware. 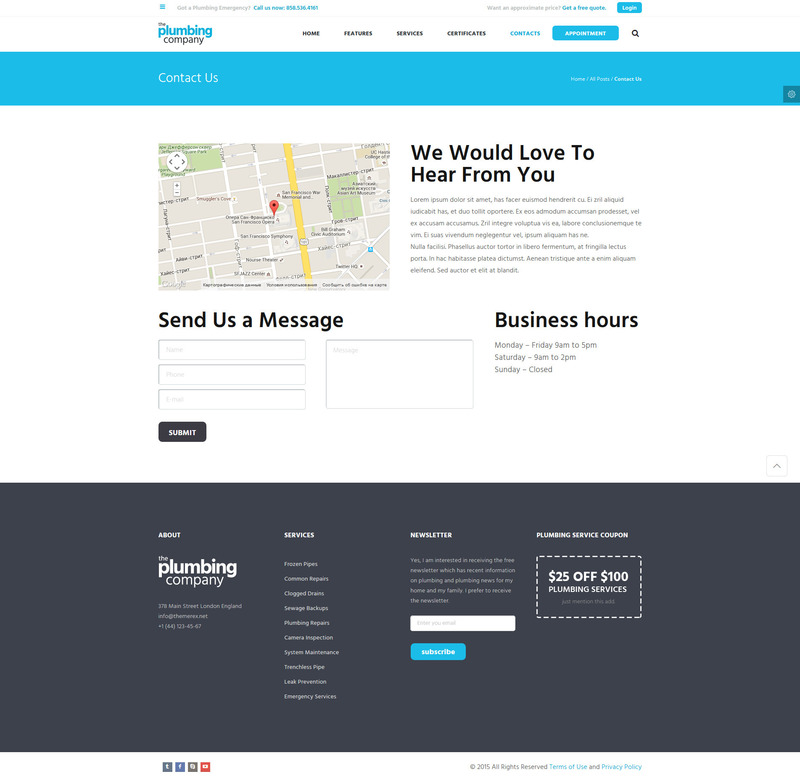 The Theme is compatible with Elementor Page Builder, WPML, Slider Revolution, MailChimp for WP, etc. - MailChimp support is added. - All plugins are updated to their latest versions. - Social Login is improved. - Revolution Slider is updated to its latest version. 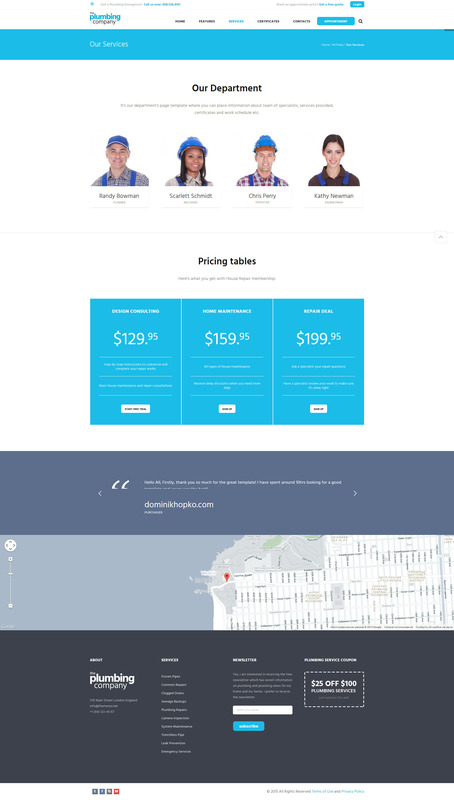 - Top panel's behavior in fullscreen mode in responsive version is updated.